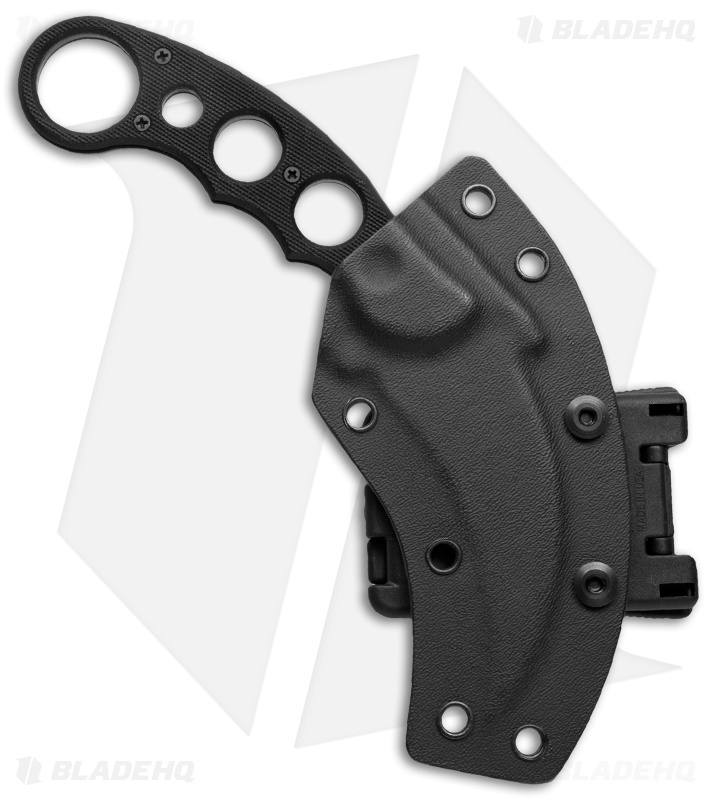 The Emerson Karambit Fixed Blade Knife, with the curvature of a claw, is an aggressive tried and true design. 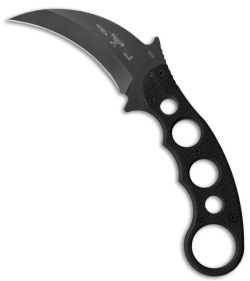 The plain chisel grind blade is 154-CM steel with a black finish. The full-tang design with black textured G10 handles are skeletonized and feature finger grooves, which along with the thumb jimping make for a sure grip. Includes a Kydex sheath.